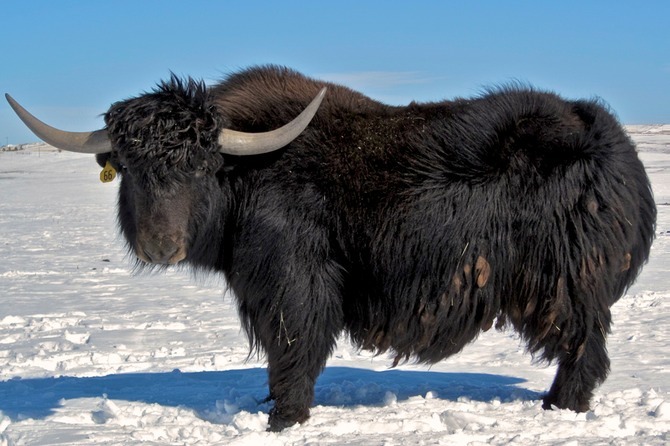 The yak (Bos grunniens and Bos mutus) is a long-haired bovid found throughout the Himalaya region of south Central Asia, the Tibetan Plateau and as far north as Mongolia and Russia. Most yaks are domesticated, Bos grunniens. There is also a small, vulnerable population of wild yaks, Bos mutus. In the 1990s, a concerted effort was undertaken to help save the wild yak population.